Effegibrevetti — International Prodimex - Italian handles and fittings. 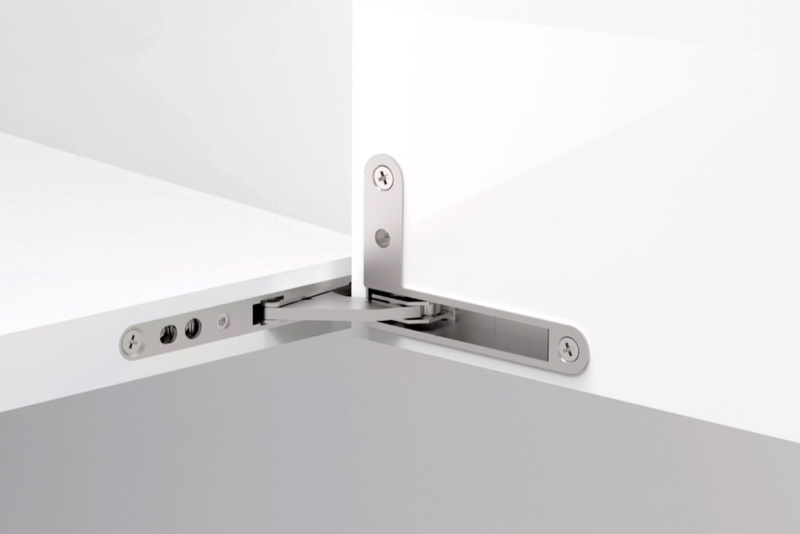 Opening mechanism for both solid and framed flap doors. 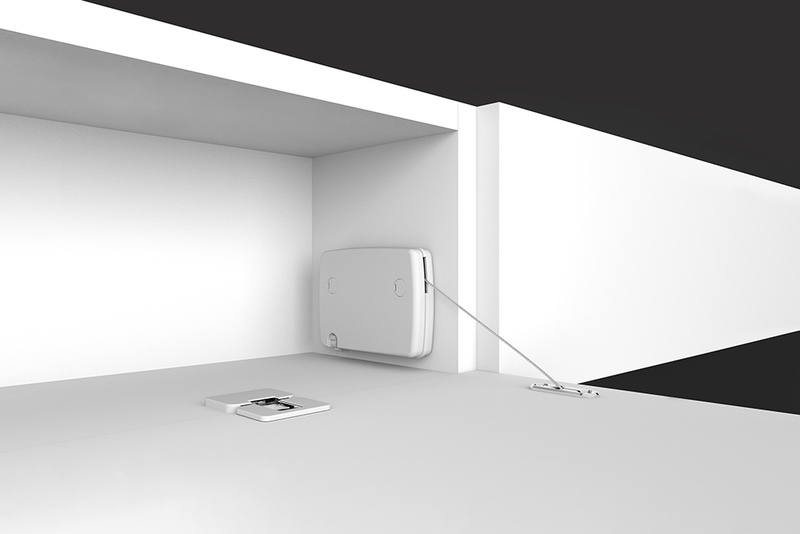 NanoWinch is symmetrical, the same mechanism can be applied both on left and right side of the furniture. An amortized on opening version with damper is available. A patented mechanism clears the door’s weight, providing the minimum user strain during the closing phase. Cover’s colours match those of Ankor GT and In-Side. This revolutionary mechanism has a thickness of just 13.5 mm. 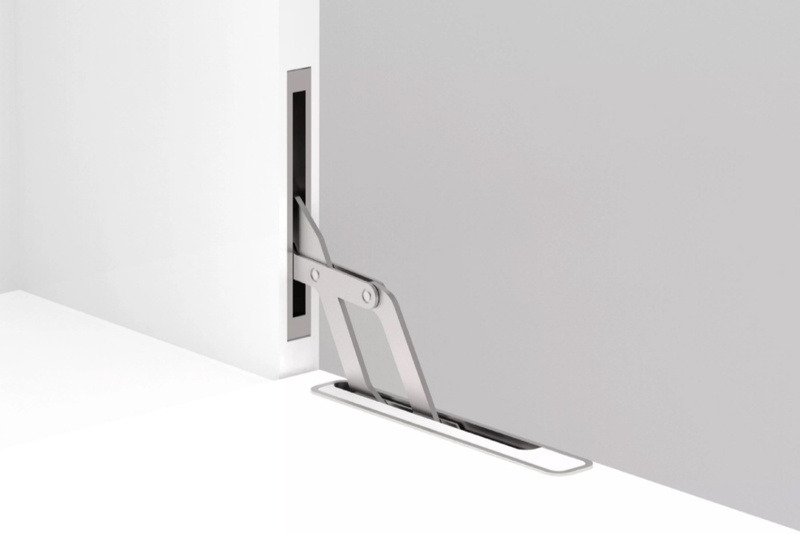 This new hinge will remind you of Effegibrevetti’s best-seller Ankor DS. DS30 has a load capacity of 30 kg per pair, which makes it suitable even for the heaviest furniture doors. The previously announced Gàsno piston is at the final stages of development. After some tweaks, the spring-powered piston will be launched in the market soon and it will be even better than the prototypes seen before!